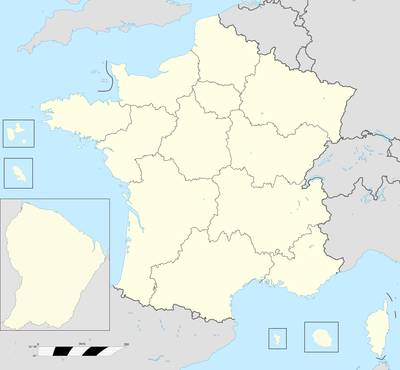 France is split into 18 administrative regions (régions). These regions are a kind of local government. Thirteen regions are in Metropolitan France (the part of the country that is in Europe). Corsica has a different status than the other 12 metropolian regions. It is called collectivité territoriale. Five regions are overseas. There used to be 27 regions. In 2016, some regions were combined and there are now 18. Each Metropolitan region contains between 2 and 13 of the 101 Departments of France. ↑ These flags are not official. ↑ "La nouvelle nomenclature des codes régions" (in French). INSEE. Retrieved 17 January 2016. ↑ New name as of 17 January 2015; formerly named Centre. This page was last changed on 1 August 2017, at 05:46.